✓ BRISTLES THAT ALWAYS STAY IN THE BRUSH, NOT ON YOUR WORK: Everyone knows that Nylon paint brushes are cheaper than the rest. But the reality is we’ve double clamped the bristles with extra strong ferrules so they don’t fall out. 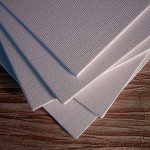 These are not cheap quality – just affordable. ✓ INSPIRED BY EXPRESSIVE FREEDOM. 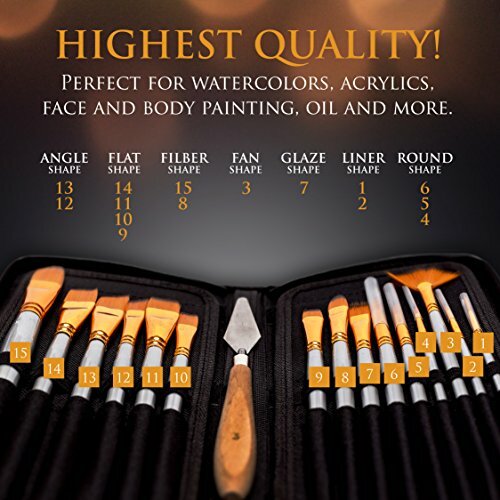 When you order your paint brush set, you’ll receive 15x nylon brushes – varied shapes and sizes. 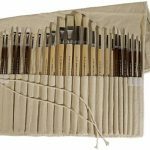 Suitable art brushes for acrylics, watercolor, gouache, ink, oil, face paint + bonus Mixing Knife And Art Sponge! ✓ A CREATIVE 60-DAY MONEY BACK GUARANTEE: Most folks offer short guarantees. We’re giving you a 60-day Money Back Guarantee and a 12-Month Replacement Warranty. 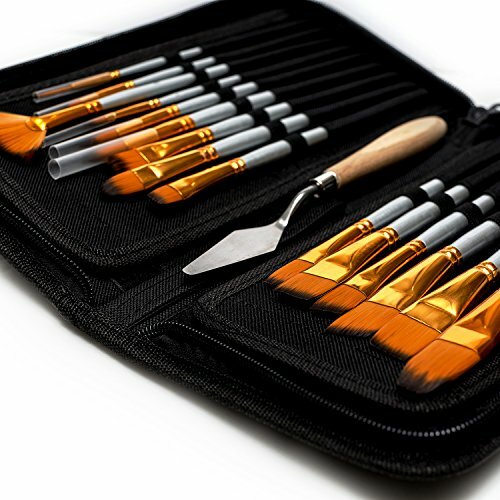 Today you’re shopping for a risk-free paint brush set. Thank you for choosing Benicci! 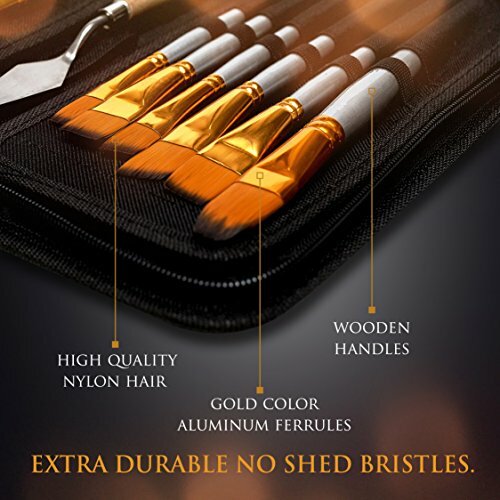 The Benicci Paint Brush Set, 15 Nylon Brushes + FREE Mixing Knife And Art Sponge + Cheap Price With A 97% 5-Star Rating. You’re not dreaming it’s the brush set you wanted PLUS MORE! Order Now. 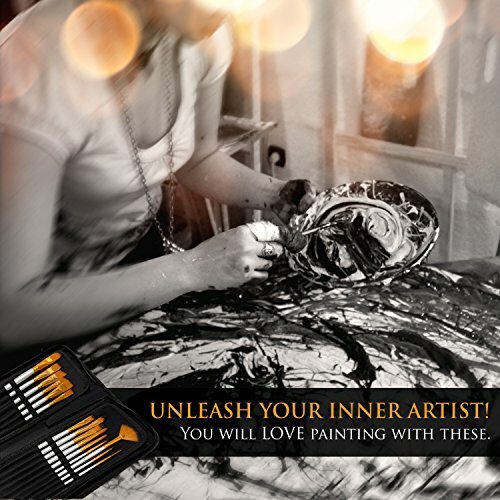 We Know This Is Crazy Value On Paint Brushes For ART. Here’s The Secret Of How We Did It. At Benicci, we’re not so different to you. You may have already heard this. 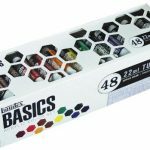 Here you are, searching Amazon high and low for acrylic paint brushes, or any other brushes for that matter. You’re searching hard for the exact brushes that meet your skills as an artist (be it expert or beginner)! You’re looking for a great price, but you MUST have bristles that don’t fall out, along with a variety of shapes and sizes for your purposes. 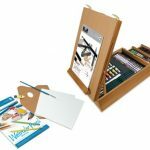 And you must have a set that can accommodate your favorite medium. You’ve seen some duds on your search. And you’ve seen some winners. One thing’s certain, you are NOT a lazy shopper! Well, that’s how we shop too. … Except we shop wholesale all over the world, to places other brands are too lazy to bother with. Just like we do with our acrylic paint sets, and 36 piece set multi bristle brush sets! And that’s how we can bring you such incredibly strong brushes, with FREE Gifts! And that’s why we have an average rating of 4.9 Stars! 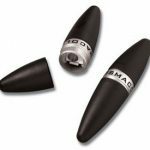 … WITH double crimped ferrules to reduce shedding. Not only that… We’re giving you an incredible 12-Month WarrantyOr 60-Day Money Back Guarantee. 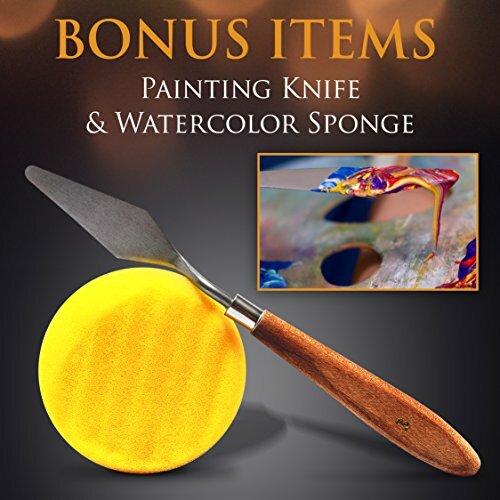 AND For FREE– Art Mixing Knife And Art Sponge. You think you’re surprised now – wait till you start painting! ✓ ALERT! 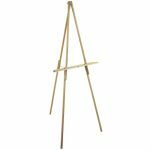 BORING ART SPECS: Your brushes contain round, angular, filbert, fan, glaze, comb, and flat shapes. Sizes ½, ¾, #2 #4, and #8. Comfortable handles for any temperament, speed, skill or style. 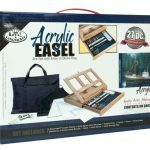 With easy transport nylon art brushes case! 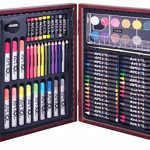 ✓ A GIFT FOR ARTISTS, EVEN HARD-TO-BUY-FOR ARTISTS: Art and artistry is subjective. Everyone has his or her preference. 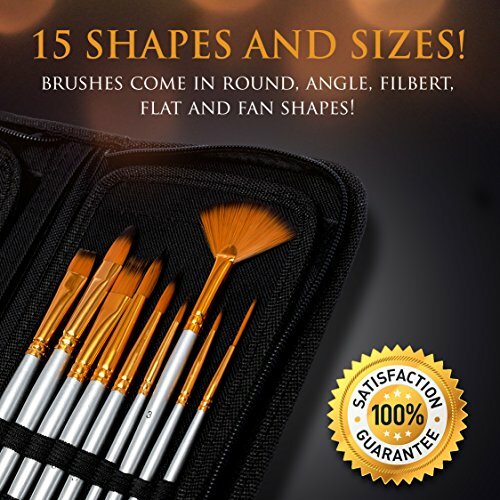 You can be guaranteed that this set of art paint brushes will meet all artists at their level. 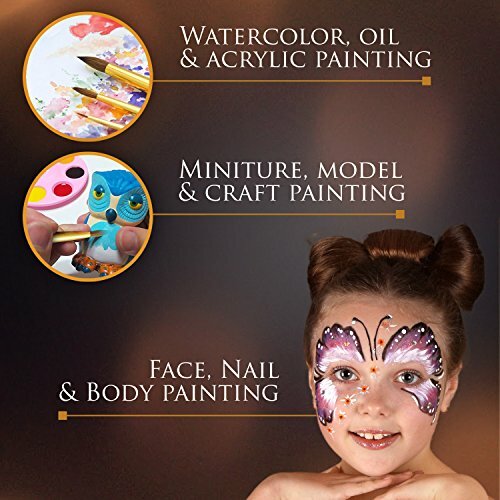 They’re also perfectly affordable paint brushes for kids. If they don’t love them like you do, you have 60-Days to return! Order Now.